Online an Author types his abstract in our webpages, which uses HTML. When you need an excel report or abstract book, Eventure offline uses MS Office. MS Office doesn't recognize the HTML Language and therefor the HTML must be translated. 'Why doesn't Eventure do that with the first download?' you might ask. Well the reason is speed and the text of the abstract is online changed (for reviewing en SC reasons). So the import SGML is basically a translation tool for the online HTML language to the language MS office uses (ANSI). 1. 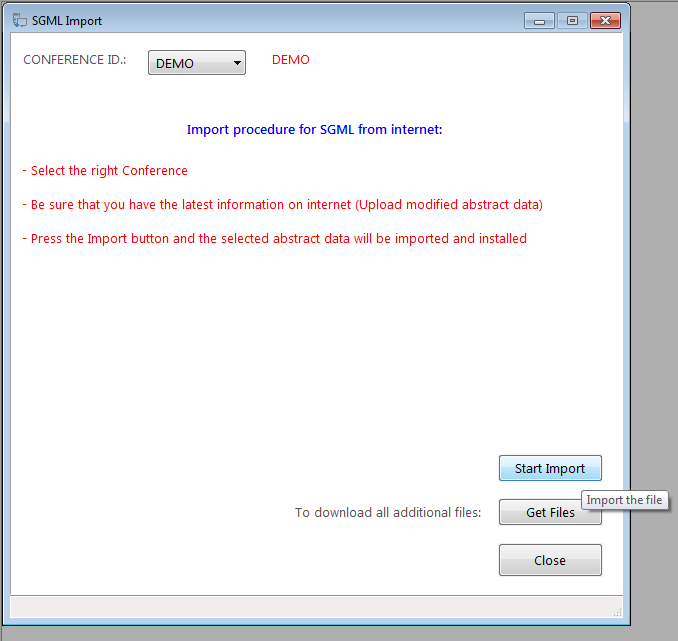 Before the import SGML make sure your abstracts are classified in a session with a timeslot. 2. 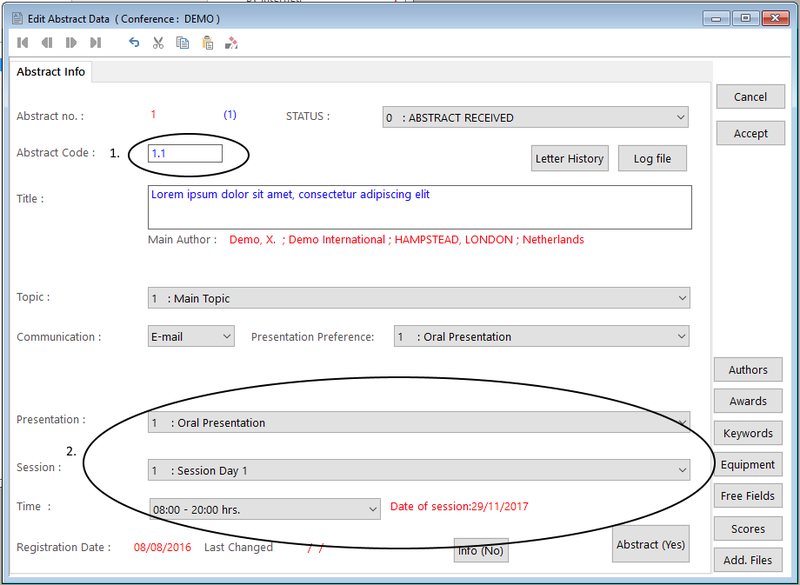 Add an Abstractcode to the abstracts in the session(s). 4. Start the Import SGML.